When we want to dine at home, but want restaurant quality food, home deliveries are a blessing. But recently one dining option has been taking the industry by storm – online meal kits. According to a study by the NPD Group, US consumers revealed up to five meals per week are eaten at home, but less than 60% of dinners eaten at home are cooked there, pointing to a rise in take-out and delivery. However online meal kits are also filling the gap. Customers can sign up for services which deliver key, premeasured ingredients needed to prepare a ‘home-cooked’ meal. This is a useful alternative for those who want to step up their cooking game but need some help, and those who want to spend less on dining out. When did online meal kits first arrive? Online meal kits or recipe boxes have been around for a few years, mainly as part of weight loss programmes like Diet Chef. But as demand has increased, there is a great variety of boxes to choose from. Gousto provides kits with recipes taking no longer than 30 minutes, from Sri Lankan curries and Italian fish dishes to classic British recipes. Other popular companies include Riverford, with 100% organic ingredients, and Hello Fresh, which focuses on easy to follow recipes that allow you to make high quality meals. Japan Centre has also recently launched its own online meal kit, allowing people to cook traditional Japanese dishes with ease in their own home. For those looking for some flavour inspiration, subscription services exist solely for spice kits and recipe ideas such as Simply Cook, and even for smoothies with fruit and veg ready to add to the blender with Honestly Good. Recipe boxes save busy working people a lot of time and effort. With all the ingredients you need and a recipe card, all you need to do is assemble the meal to enjoy something tasty and fresh at home, without even going to the supermarket. It also allows people to branch out into different cuisines, or perhaps try dishes they might not have considered before. According to a report by The Telegraph in 2017, spending on recipe box deliveries was up by 65% in the first half of 2016. Hello Fresh, which launched in 2012, operates in 9 countries and delivers approximately 9 million dinners every month. Gousto, which also launched in 2012, serves around 400,000 meals a month. Above all, meal kits offer customers convenience. The food is easy to cook with a handy recipe to follow, and there’s no need to go shopping. But with the little effort it takes to put together these delicious and nutritious meals, customers can feel as though they’re getting a memorable dish and potentially save money on dining out. There are some clear pros and cons of online meal kits. On the plus side, meals made using recipe boxes are generally cheaper than eating out but can offer food of the same standard. They offer customers an easy opportunity to branch out from their usual dishes and try something new. Many companies offer meals that are tailored to your dietary needs and preferences, so these kits are feasible options for everybody. Meal kits can also save customers lots of time during their busy working schedules by eliminating the need for shopping, vast prep work and many kits ensure their meals can be cooked quickly. However, they’re potentially a problem for restaurateurs, although delivery and take outs remain a popular choice for dining at home. Keeping dining experiences fresh and interesting also keeps consumers interested. Online meal kits offer new ingredients and cuisines, and the opportunity to be creative and restaurants need to keep this in mind. Ensuring menus include more unusual, labour intensive or luxurious options and that the diners are offered an experience they can’t get at home, are ways to achieve repeat custom. Whether businesses open their kitchens so that guests can watch their food being cooked, allow their chefs to meet the diner, or suggest unique drink pairings, they will start to engage with their guests at a deeper level. Today’s customer desires a more personal approach and the only restaurants that can create memorable experiences will prosper. 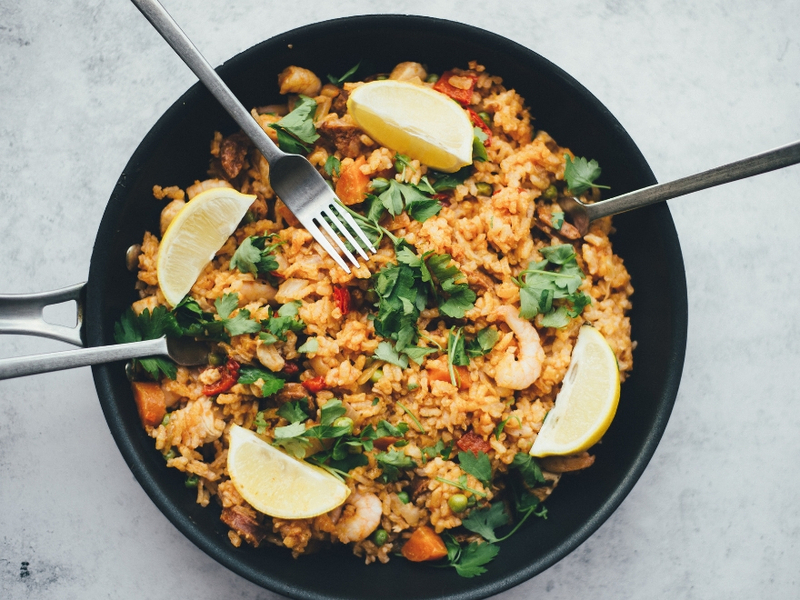 Online meal kits are making their mark because convenience is always appealing, however, restaurateurs who understand hospitality will entice their guests with an experience that cannot be replicated.